Dubai, UAE. 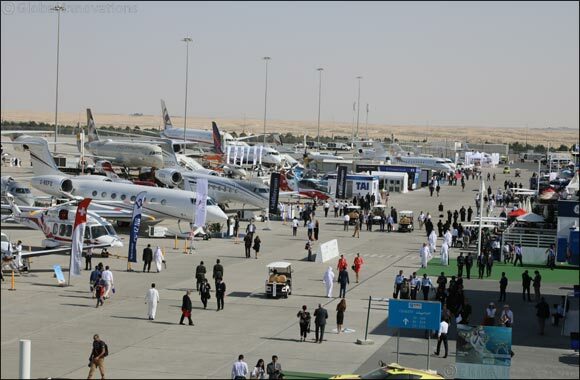 17 March 2019: Saudi Arabia continues to demonstrate its growing strength in the aerospace industry with participation of its biggest players in the Dubai Airshow in November this year. Saudi Arabian Military Industries (SAMI) are the latest to announce participation joining the General Authority of Civil Aviation (GACA) of the Kingdom of Saudi Arabia who will also be attending the event for the first time. Other Saudi companies attending the Dubai Airshow include GDC Middle East, Advanced Electronics Company (AEC), Middle East Propulsion Company (MEPC), Saudi Aerospace Company (SAC) and Saudia Aerospace & Engineering Industries (SAEI). SAMI is a military industry company, launched in May 2017 to act as a sustainable platform to provide world-class military products and services to the Kingdom of Saudi Arabia and its allies and forms a key part of the Kingdom’s 2030 Vision, based upon increased investment to transform Saudi Arabia into a global hub. According to GACA, Saudi Arabia has achieved unprecedented growth over the years in civil aviation, helping to drive development at the country’s airports including major developments in passenger transportation, air cargo, airport construction and equipment, air navigation and control. The Dubai Airshow will once again include its renowned Delegations Programme, in which military and civil delegations from across the world are invited to participate, co-ordinated by show organisers, in conjunction with the UAE Ministry of Defence, Dubai’s Department of Civil Aviation Authority and the Government of Dubai. A significant number of the 279 delegations to the 2017 edition came from Saudi Arabia, with that number expected to increase in 2019.